Hello! 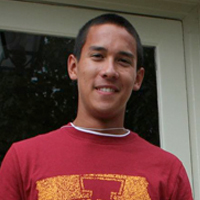 My name is Austin Javellana, and I am a junior at Iowa State University studying landscape architecture. I have been so blessed to have the creator of this blog, Steve Good, as an adviser for my Fraternity and cannot thank him enough for all he does for those within his life. If you have the opportunity to follow him on Facebook, do it. He posts some pretty hilarious stuff. 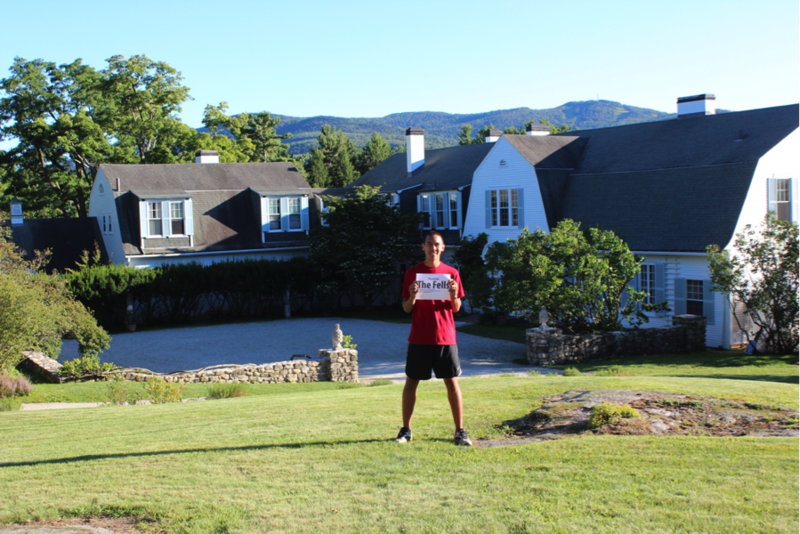 This summer, I had the incredible opportunity of being a Landscape Intern at the Fells Historic Estate and Gardens in Newbury, New Hampshire. The Fells is a nonprofit organization preserving the estate and gardens of John Milton Hay – private secretary to Abraham Lincoln and Secretary of State to William McKinley and Theodore Roosevelt. The estate hosts an expansive Colonial Revival home and gardens designed by Clarence Hay, son of John Milton Hay. From documenting Clarence’s rock garden to mowing lawn after lawn, I had a busy and worthwhile summer learning at The Fells. However, of all the lessons I learned there, the most important is what a small group of dedicated individuals can do with a common goal. The Fells is comprised of a small executive staff with a loyal band of volunteers that strives to keep the spirit of the Hay family alive on the estate. They are a true inspiration for how a small group of individuals can achieve great things, and as I started this 10 miler as part of my half marathon training, it was only appropriate to thank this organization for all they taught me this past summer. After starting my run at the main house at The Fells, I took a right on Route 103A. A scenic drive, this road became my training grounds for the summer. Full of great views of Mount Sunapee and Lake Sunapee in the distance, I couldn’t really complain about any of my running routes this summer. Following this road, I took a left up Bly Hill all the way to its summit. From the summit, the views of Lake Sunapee are breathtaking – or maybe that’s because I had just finished running up one of the longest hills I’ve ever run in my life. 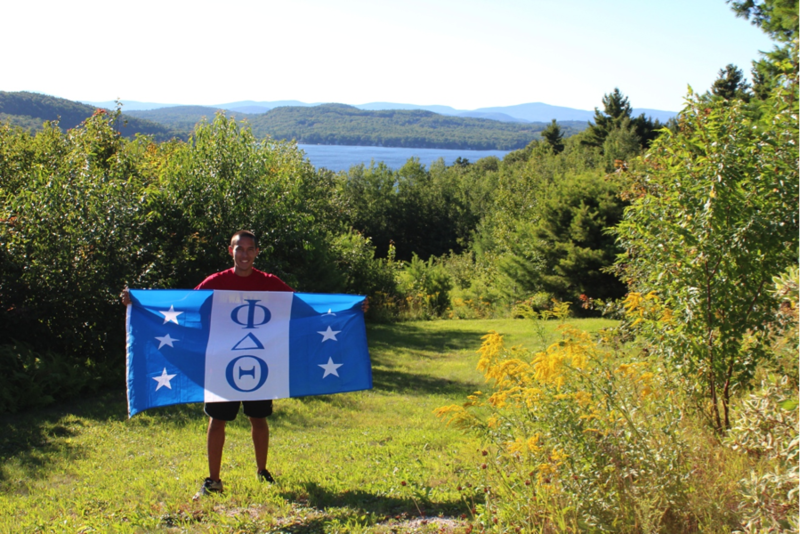 Regardless, I had to thank my Fraternity, Phi Delta Theta, at this point in my run. I have learned so much about being a leader, friend, and brother within my Fraternity and though challenging, I know the men I call my brothers will always be there for me. Their dedication and friendship make any challenge, any hill, worth pushing through. After taking in the views, I ran back down Bly Hill and continued north on Route 103A. My run continued all the way to Chalk Pond, a small lake with quaint houses surrounding its border that I had found accidentally on a previous run. The lake is so fun to run as it’s one of the flattest parts of this entire area, and the families on the lake always offer encouragement as I run past. Just like I was surprised to discover this lake, I am continually surprised by how my school, my campus, my home-away-from-home impacts my life on a daily basis. From having class in the Gulf of Mexico to bringing me all the way to New Hampshire, Iowa State University has truly given me more opportunities to explore, learn, and play than I could have ever imagined. If you have ever seen an Iowa State commercial on TV, I can honestly tell you I am enjoying my adventure. After running to Chalk Pond, I turned around and met back up with Route 103A. 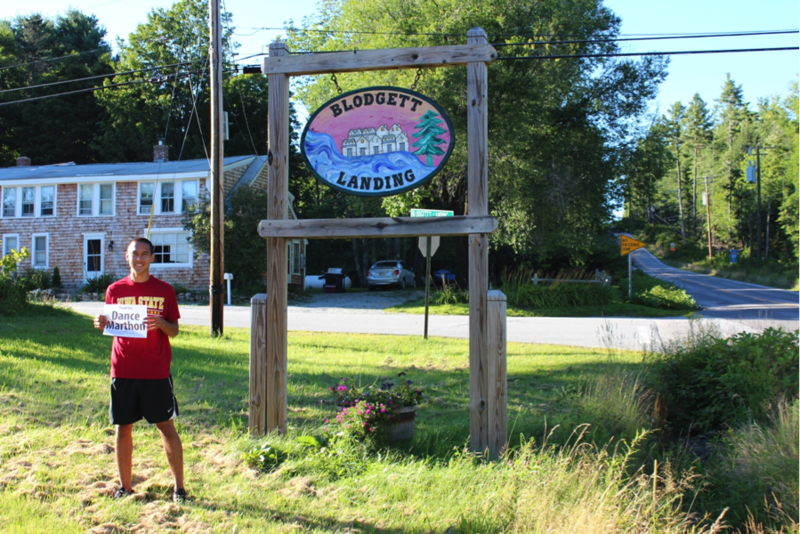 I continued all the way down to a small neighborhood called Blodgett Landing. 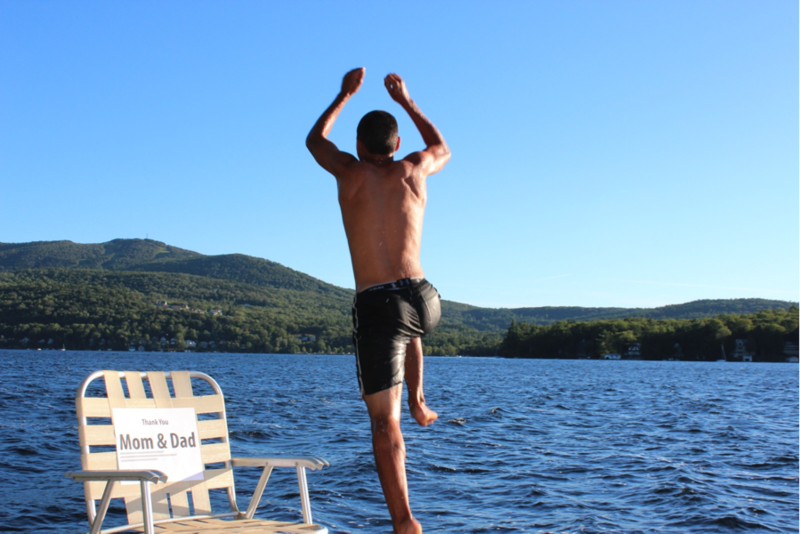 This neighborhood sits right on Lake Sunapee and is perfect for all things summer: boating, grilling, family and friends. I have met some pretty amazing families here on Blodgett Landing that have literally opened their doors for my fellow interns and me to enjoy the lake, a home cooked meal and relaxation from work. Because of all the families I have met here, I have to take the opportunity to thank Dance Marathon. Dance Marathon is an organization that helps children with life threatening illnesses. Students like myself raise money for Dance Marathon for the Iowa City Children’s Hospital through an organization called Children’s Miracle Network. We then pledge ourselves to stand/dance/boogie for 15 hours in January with kids from the hospital! For the past two years I have danced in the event and have had the opportunity to serve as a Recruitment & Morale Captain – a student leader responsible for recruiting other students to dance. This upcoming January, I will be dancing in my third Dance Marathon as a Recruitment & Morale Captain and have pledged myself to raise $1,000! A shameless plug I know, but if you would like to learn more about this amazing organization and donate to the hospital head on over to http://www.helpmakemiracles.org/participant/javellana! The families and children of the hospital would greatly appreciate your support! Regardless, as I think about my time in New Hampshire, the families of Blodgett Landing and Dance Marathon will always have a special place in my heart. From Blodgett Landing, I continued to loop around Bowles Road and met once again with Route 103A that took me back to The Fells. Luckily for me, The Fells owns about one mile of lakefront with a dock they so graciously allow the interns to use. 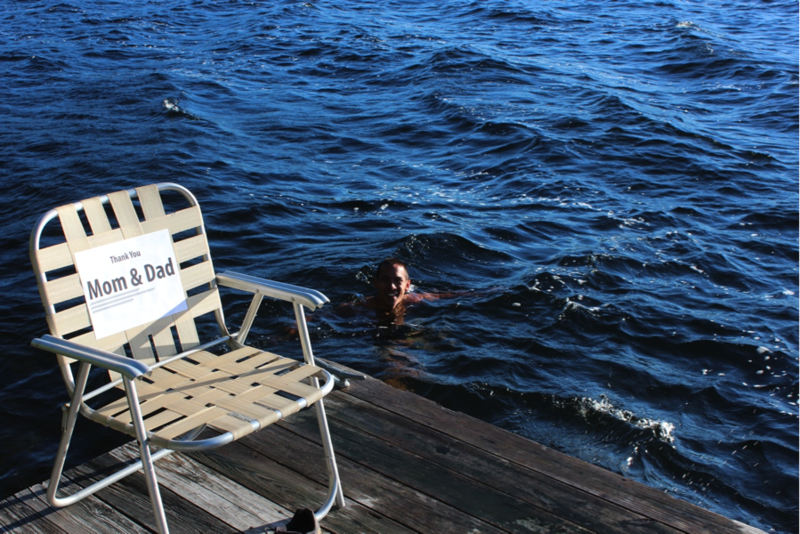 Naturally, I headed down to the dock and dove into the water. After a long run like this and some grueling hills, the water of Lake Sunapee refreshed my legs and made those 10 miles worth the work. I love coming down to this part of the property, as it’s a quiet place to take in Mount Sunapee in the distance as the water laps against the shore. I always wonder how I got so lucky to have an opportunity like this, and whenever I try to reason why, my parents always find their way into the equation. Without their support and encouragement, I would never have developed the courage to dream big and take chances. From being at every sporting/music/fraternity event to driving me halfway across the country to get to New Hampshire, I can only hope to be half the parent they are someday. As my run and time in New Hampshire came to a close, a simple thank you will never surmount to the appreciation I have for those who made this opportunity possible for me. This part of the country is truly outstanding, and I enjoyed every minute of it. 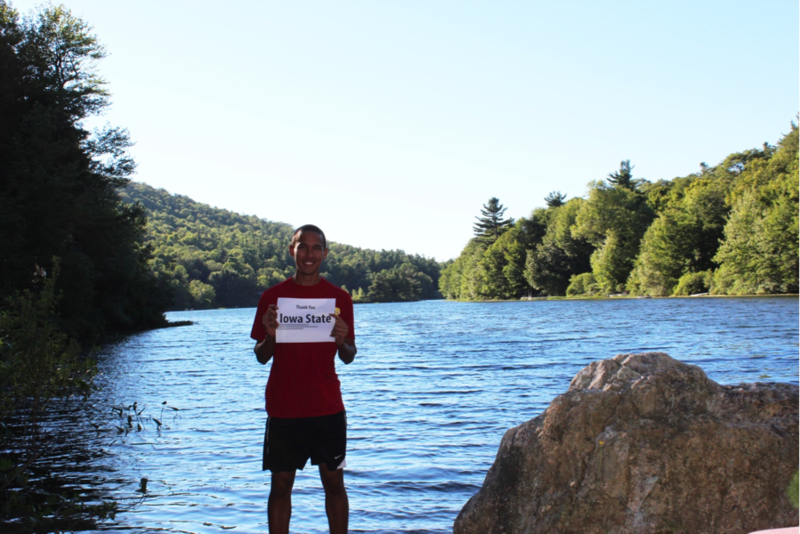 I would encourage anyone who has the opportunity to come run in New Hampshire. From the hills to vistas, I can promise you New Hampshire will not disappoint.